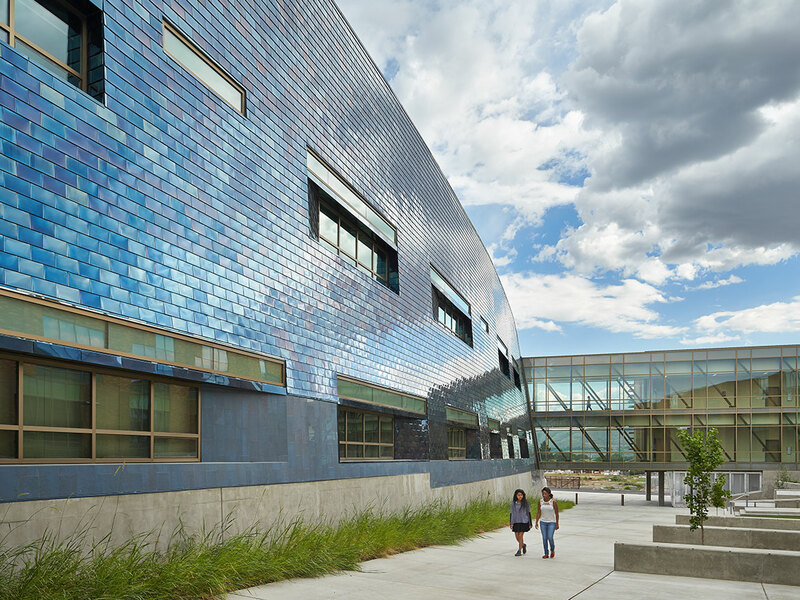 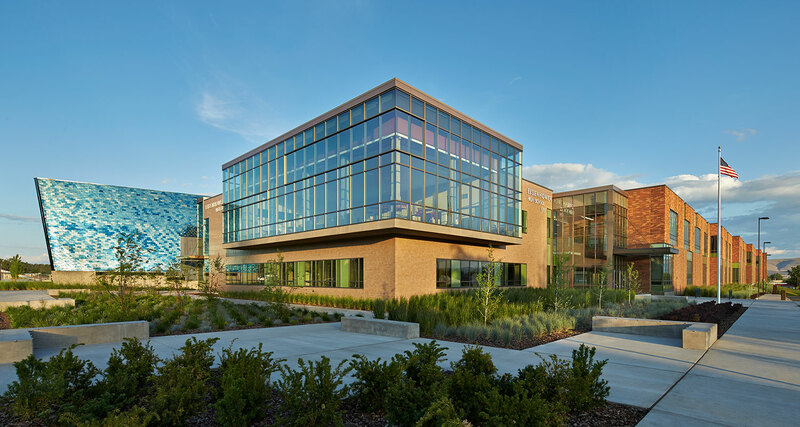 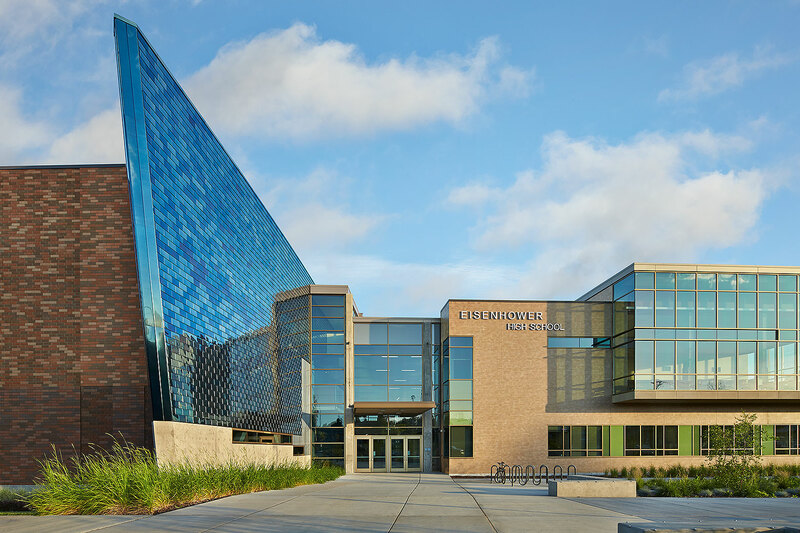 The central feature of this ambitious, 220,000-square-foot high school replacement project is a large courtyard which rests in a microclimate formed by the wings of the building. 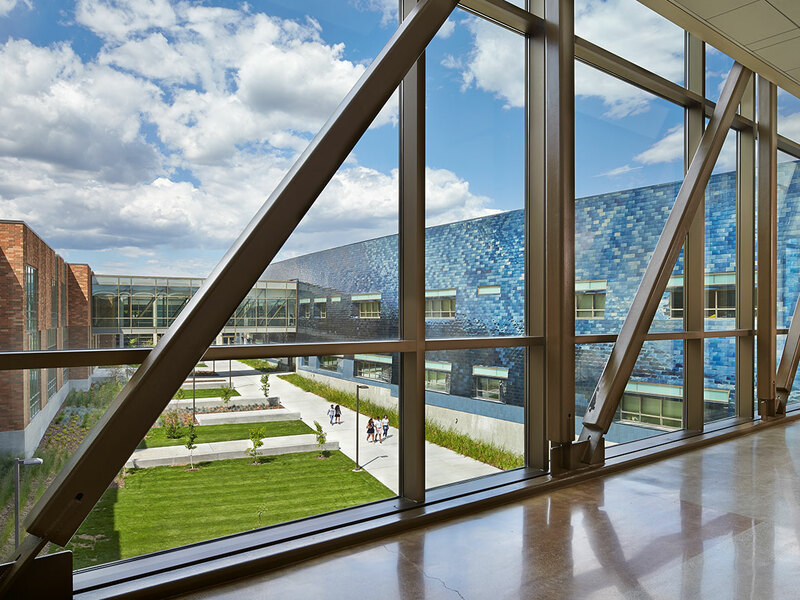 The multifaceted space offers outdoor classroom learning, extended lunchroom space, and serves as a venue for performances and assemblies. 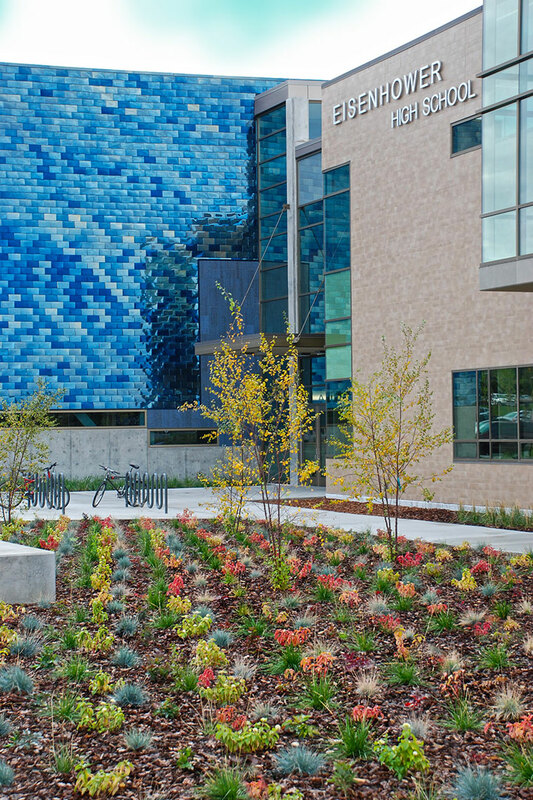 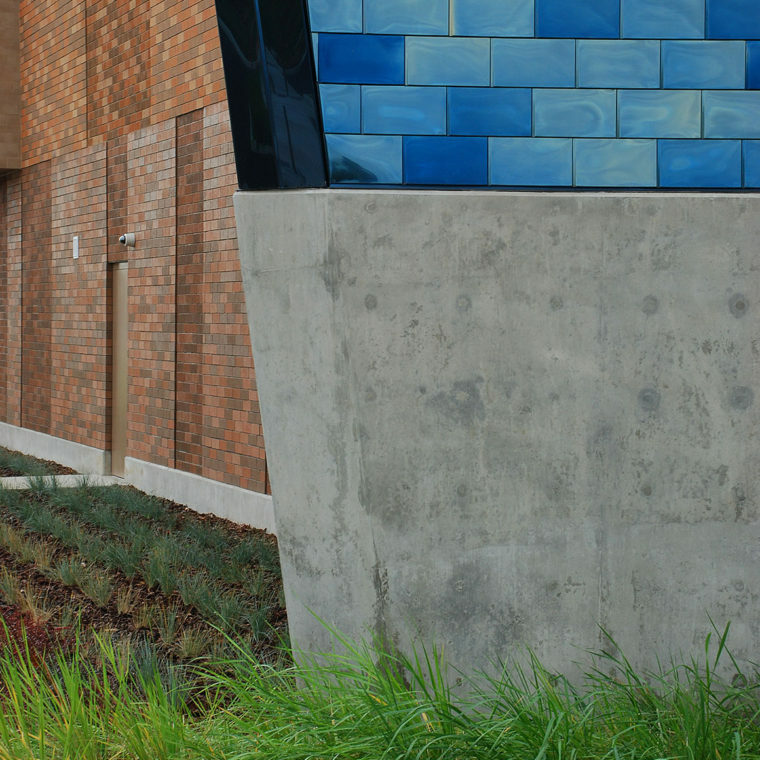 The warm hues of the planting palette along the building entry create a brilliant foreground to the school’s new signature blue entry wall.